Here are some more photos from my Egyptian trip. Carvings on a temple wall (I can't remember which one - there were lots and they were all very similar). It must have taken so long to carve the figures into the rock and they were expected to last - as indeed they have. 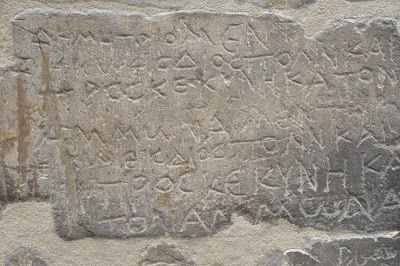 Some Greek writing carved onto a temple wall. 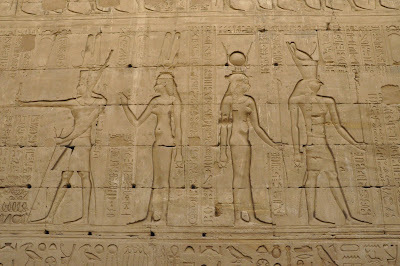 Egypt had many foreign rulers over the centuries (millennia) but one of the things that caught my attention was the variety of scripts I saw during my travels (hieroglyphics, Greek, Arabic and so on). 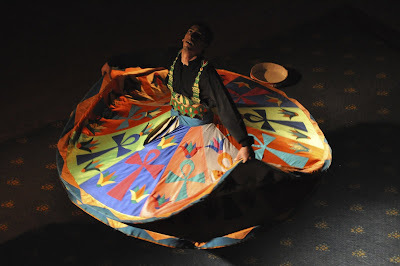 A Whirling Dervish in Aswan, with his brightly coloured skirt swirling. I think the design of his skirt could translate to a quilt. The Alexandria Library gave me goosebumps. It doesn't look much from the outside but is beautiful and spacious inside. 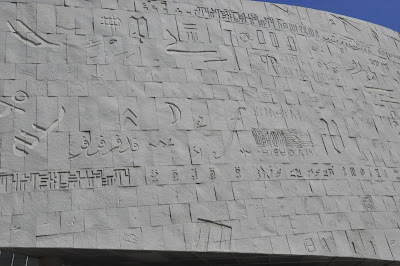 However, I also loved the facade, which is decorated with a wide variety of scripts. 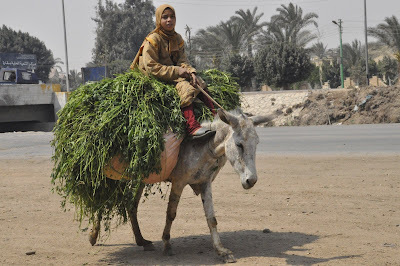 A young girl transporting grass on a donkey. beautiful photos Monica. the whirling dervish looks awesome. I would love to be able to see one of those in real life. I never realised that their skirts were so colourful.